The location has changed. The problem remains the same. I’ve been far too depressed and too busy doing my stupid stand-up routine to properly throw a proper evaluation on the series and its evolution, or more appropriately its deterioration in terms of the Sonics’ hopes. The single most disappointing aspect of the series so far has been the mysterious disappearing act of Rashard Lewis. 2005 NBA All Star. The other part of the Sonics’ 1-2 punch. The Past, Present AND The Future. -Sacramento’s game plan was to take Lewis out of the equation with repeated passive to aggressive double teams from a combination of different looks on the double team. Lewis showed a VERY poor ability to recognize the double team and proper decision, be it the outlet pass to the correct open man, or possibly going baseline if given the opportunity from a weak, poorly executed double team. -It’s not a coincidence that ‘Shard’s 0-7 from the arc against the Spurs. As has been heavily documented they have the best 3 pt defense in the league, by a wide margin, and there has barely been a 3 point shot taken by the Sonics not contested by the opposition. Here’s the kicker for me in all of this. The Spurs, as anticipated, decided to throw Bowen on Allen and have decided to guard Lewis, on many an occasion 1-on-1, with generous helpings of double teams mixed in. Furthermore, his defender has come from a platoon consisting of the following: 6’-7” Brent Barry (a terrible defender), 6’-6” Manu Ginobili, Robert Horry, and on some occasions Nazr, Bowen, Parker!, & even Udrih! I am dead serious! Plain and simple, for the Sonics to win Rashard Lewis has to rise up to the fans’ lofty expectations that he is a legitimate player of All Star offensive ability, more than capable of taking advantage of every instance he is given that 1-on-1 mismatch. I noted in my preview of the series that if the Spurs were still using this strategy on Lewis come games 3 or 4 it means 1) Lewis has failed in his responsibility & 2) We’re f**ked. Check. Check. There is NO excuse for Lewis not demanding the ball as he looks down and sees Barry or Manu on him. Even IF the double team comes and it forces the ball out of his hands, it still, with proper passing/intelligence, leaves the team with an advantage with the Spurs D out of sorts scrambling to reset and putting a man on players/the ball. I’m seriously beside myself watching Lewis shy away from the responsibility/opportunity. Spurs fan’s are gonna come in here and see a deranged Sonics’ fan with a foolish belief that Lewis has a better game than he really possesses. They may partially be right. Lewis was not wholly consistent through the season in his post up game. Much like the team, he simply didn’t bring it every game and was actually invisible at times. But for those who watched 82 games, they can attest to the fact that Lewis’ play progressed as the season went, that is until his injury and his post-season malaise. 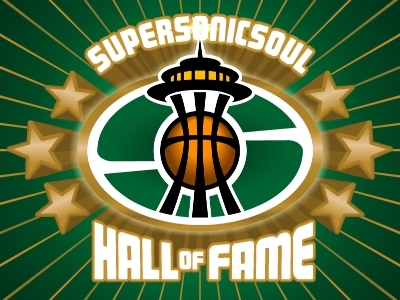 The Sonics played 82 regular season games; 63 were played with Radmanovic & 19 without*. *I actually ran this stuff in a previous post with about 8 or so games left in the season to kind of show Radmanovic’s effect on the team aside from his personal stats: i.e. he spreads the floor, causes defensive problems for opposing teams. Like that last post’s stats, these numbers of course have other mitigating circumstances, noise, as the statheads like to call it. Lewis was out a certain number of games as was Allen. The disappearance of solid play from The Fort. Strength of opponents is not taken into account etc… And again, it’s no shock to anyone who has seriously, or even casually, followed the team: The 1st half Sonics were playing at a superior level to the 2nd half team (in particular the 1st third of the season vs. the last third.) What this stuff does indicate, but not prove, is that Radmanovic has more influence on the Sonics' performance than most people realize, or would care to admit. So again you might ask, what the hell’s your point? Simply put, the current state of guarded pessimism taken on by Superfriends everywhere is a bit misdirected at this current time towards the nosedive the team is in. I don’t consider the slide any indication at all of the team’s ability to win (in the playoffs). I don’t care if the team as is loses by 3 or 30 to the Lakers, cause they ain’t gonna do s*** in the playoffs as is. Rashard is expected to return after a few more games, and Vlad’s tour of duty in IR is scheduled to end either today (if you believe the 4 week timeline) or by the start of the playoffs. What is of importance is the team’s ability to re-incorporate two of their most important players back into the fold, and to again develop that chemistry that made the offensive execution a thing of beauty during the first half of the season. If they’re not able to do this, consider the Season record your only present (this) year, cause the Sonics ain’t going nowhere in the playoffs without a little of that magic they conjured up in the beginning of the season. 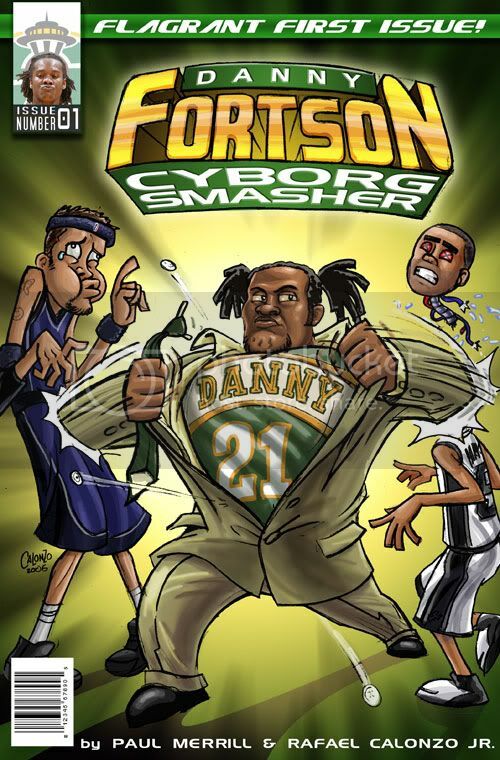 Now, BEFORE I get the expected crap, I am NOT throwing this out as an excuse for the Sonics poor play or for their 2-0 series deficit to the Spurs. This is NOT an exclamation saying that with Radman we’d be just as good as the Spurs, or you’re so lucky you didn’t catch at full strength type nonsense. I’ve believed and said this at the halfway point of the season, at the end of the season, and at the start of the playoffs: The Spurs are the best team in the NBA. Should they do what they need to do, it should result in a trophy in their hands when all is said and done. What I am trying to say is simply… this effort we’re seeing is NOT representative of the full capability of the 2004-2005 Sonics. I had wished and hoped that THAT team would have shown up. It would have been fun to watch. Lewis continuing his evolution and making San Antonio pay for the Barry/Manu insult... Ray winning his inferno deathmatch duel with Bruce... Our combo standing toe-to-toe with the mighty Duncan-Manu heavyweight… Radmanovic hitting outlet rainbow threes... Hanging in, hanging in, resilience shining in their eyes... It truly would have been fun. But I guess it just wasn't meant to be.